Even if this is accurate or not, Trunks would have to be very strong to raise such doubt. This doesnt make sense if he only can transforms in Super Saiyan 2, because that transformation is 3 stages below Super Saiyan Blue (behind SSJ3, Super Saiyan God and Super Saiyan Blue), and in other hand Super Saiyan Rage is more or less in the level of Super Saiyan Blue, it can be in the same level, slightly weaker or stronger (personally I think it's a stronger transformation, but there is no official info on this yet) So my question is, did Trunks turned into Super Saiyan Rage in any chapter of the Dragon Ball Super manga? No, the Super Saiyan Rage transformation hasn't been seen in the manga yet. In fact, I suspect the manga doesn't plan on introducing SSR at all. What's important to remember here is that the manga version of Trunks is MUCH stronger than in the anime. 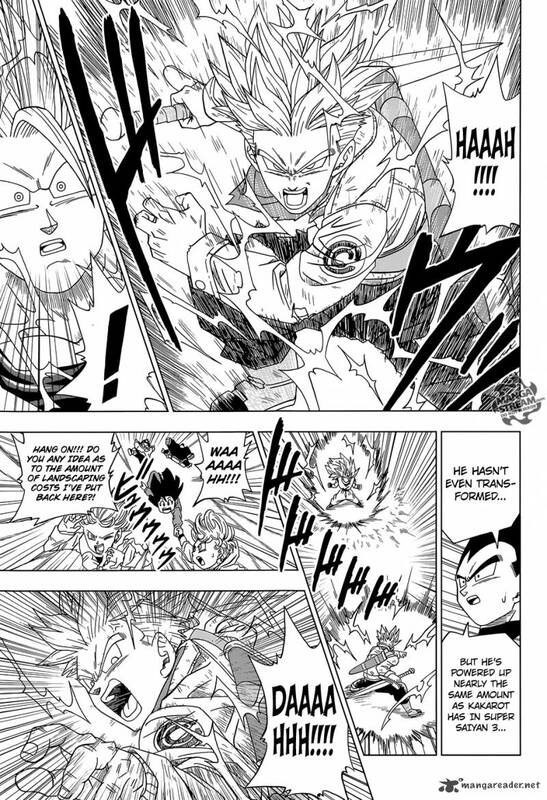 Specifically, when Trunks and Goku spar in the manga, ssj2 Trunks is apparently as strong as ssj3 Goku. Not the answer you're looking for? Browse other questions tagged dragon-ball-series dragon-ball-super dragon-ball-manga or ask your own question. Does Trunks have god ki already?